The Grande Traversata delle Alpi (usually abbreviated to GTA), runs from the Nufenen Pass, with soaring 4000 m. peaks in the background, along ancient pack mule tracks through the western Italian Alps, all the way to the Mediterranean Sea. The route provides an insight into one of the most pristine alpine regions still remaining, as well as into a diverse cultural tapestry which is, unfortunately, threatened by extinction. The GTA was conceived in 1979 to somewhat counteract the dramatic decline in population and proved quite successful in creating a new form of tourism generating sources of income, thus providing an incentive for the locals to stay. The route is mainly composed of old connecting trails between the valleys; therefore, the Stages usually end in traditional villages where the revenue from walking tourism directly benefits the local inhabitants. With a range of about 900 kilometres and 65,000 vertical metres spread over approximately 65 Stages, the GTA is a real challenge for long-distance trekkers and, considering the total time required, is not recommended to tackle in a single attempt. Consequently, this Rother Walking Guide is divided into weekly sections, with public transport readily available at the starting points and destinations. 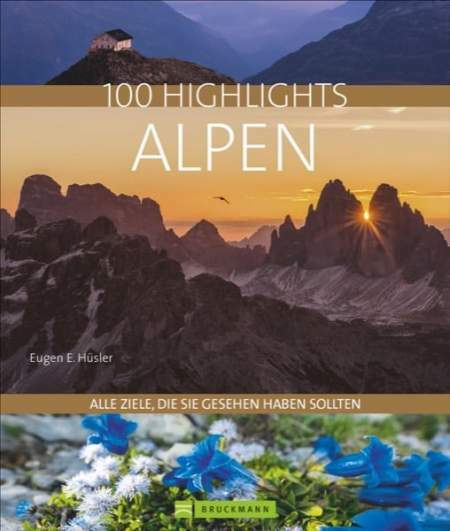 The authors, Iris Kürschner and Dieter Haas, have reconnoitred the Western Alps and the routes crossing through them for many years. In this guide, they wish to share their experiences, provide precise descriptions of the Stages and pass on a treasure trove of information concerning the infrastructure, as well as the worthwhile sights and interesting facts which are met along the way. Maps with the courses of the routes drawn in, pertinent and descriptive height profiles, and GPS tracks for downloading have all been provided to supplement this guide, creating an indispensable companion for trekkers traversing the Alps along the GTA.